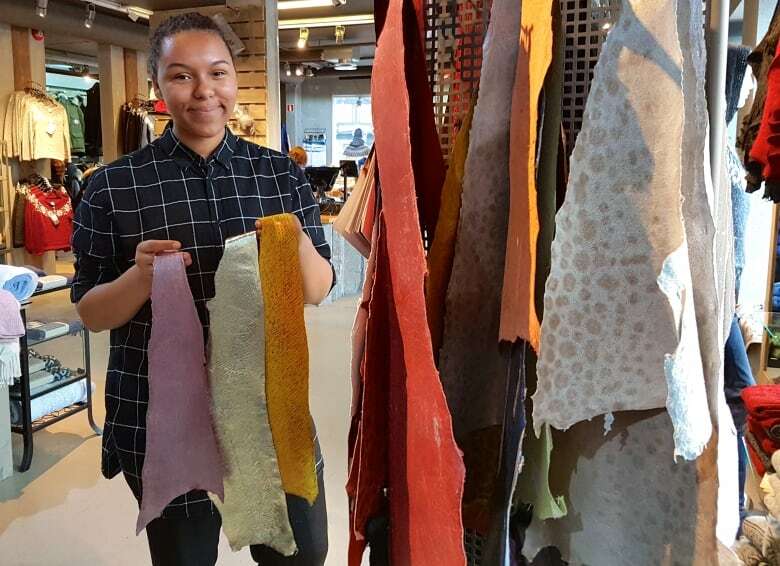 From local designers to the runways of Paris, Iceland's fish-skin leather has people hooked. Designer Arndis Johannsdottir holds up a stunning purse, decorated with shiny strips of gold and silver leather at Kirsuberjatred, an art and design store in downtown Reykjavik, Iceland. The purse is one of many in a colourful window display that's drawing in buyers. Johannsdottir says customers' eyes often widen when they discover the metallic material is fish skin. "I use mainly four different types of fish, wolfish, salmon, perch and cod. Right now my favourite is cod," she says with a smile. Johannsdottir educates interested visitors about the qualities of this clever leather. Many assume it's delicate but she is quick to point out its durability. "Fish skin is 10 times stronger than normal leather because it has cross fibres in it. It's very light and it's very thin but very strong." Traditional leather made from cow has fibres that go in one direction but it's the cross fibres in fish skin that makes it so tough. "Only bad thing about fish skin is that you have to stitch together so many pieces to make a big thing but sometimes you get a very big fish," jokes Johannsdottir. 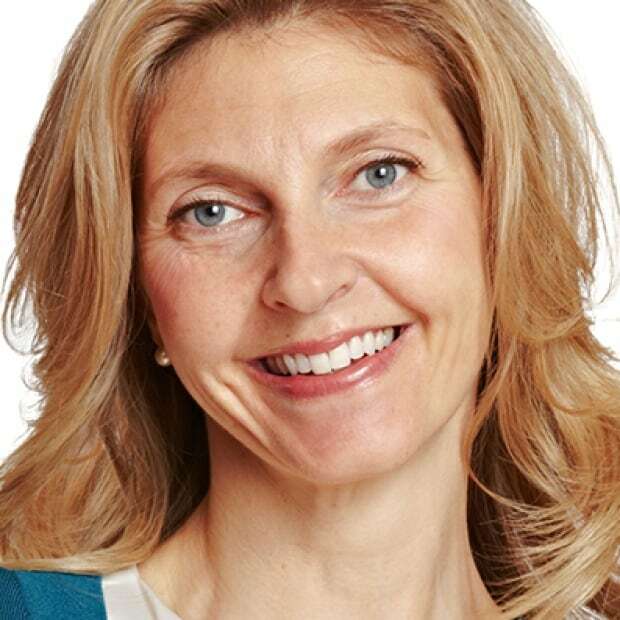 Johannsdottir, a fish-skin designing pioneer, first came across the product 35 years ago. She was working as a saddle smith when a woman came into her shop with samples of fish skin her husband had tanned after the war. Hundreds of pieces had been lying in a warehouse for 40 years. "Nobody wanted it because plastic came on the market and everybody was fond of plastic," she said. "After 40 years, it was still very, very strong and the colours were beautiful and ... I fell in love with it immediately." Johannsdottir bought all the skins the woman had to offer, gave up saddle making and concentrated on fashionable fish skin. When she held an exhibition of her marine leather work in the 1980s, a tannery in Saudarkrokur, in northern Iceland, took notice. The tannery was producing lambskin but there was a lack of raw material. It can be costly to import to Iceland, so CEO Gunnstein Bjornsson decided to diversify. "We started to think what else can we do and we thought, yeah, we have a lot of fish skin." Bjornsson says fish skin has been used throughout history in Iceland as leather for shoes but it wasn't tanned, it was dried. The challenge for his company, Atlantic Leather, was to figure out how to tan it properly. 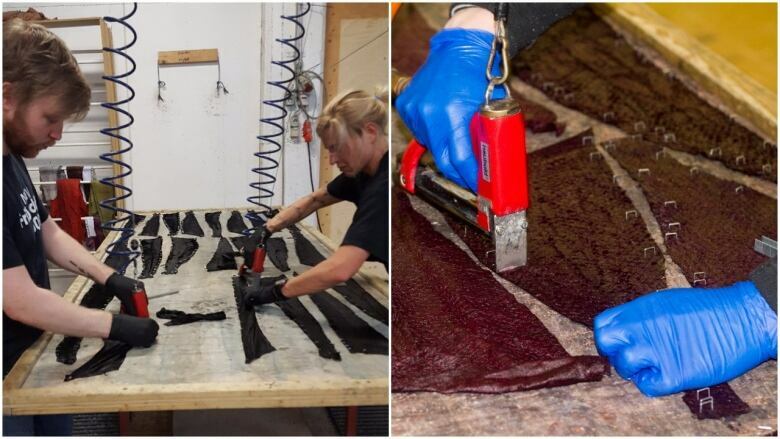 According to Bjornsson, there are usually two big problems with tanning fish leather — it smells of fish and it's too stiff. 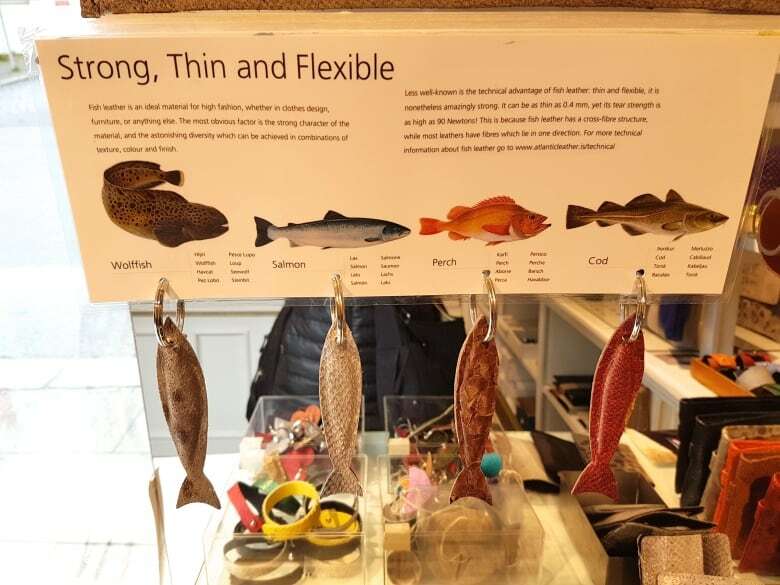 "The basic difference [from traditional leather] is that fish is cold blooded species ... so the temperature tolerance is quite low and if you put a fish skin into a traditional tanning bath of 37 degrees, you get just a smelly fish soup," explains Bjornsson. Over the course of a decade, he experimented with different techniques. "I can tell you, it was a long and bumpy road. Finally, we popped into a method we could use." The next biggest challenge for Atlantic Leather was finding a profitable market. Icelanders loved the material but a local market would not make the venture worthwhile. Bjornsson decided to focus on Europe. Like most Icelandic entrepreneurs, he thinks big. "We have to. We have to go to a foreign market if we are really going to make something out of it." Since 1999, Atlantic Leather has made twice-yearly trips to the fashion material shows in Paris and the effort has paid off. Today, their product is used by some of the biggest fashion houses in the world. "We have worked with all of the major brands. Vuitton, Gucci, Ferragamo, Prada and more." Now the company has plans to hook buyers in the West aiming at markets in the United States and Canada, and expanding their colour line and textures. "The sky is the limit of what colour we can make — metallics, matte, shiny — everything is really possible," said Bjornsson. 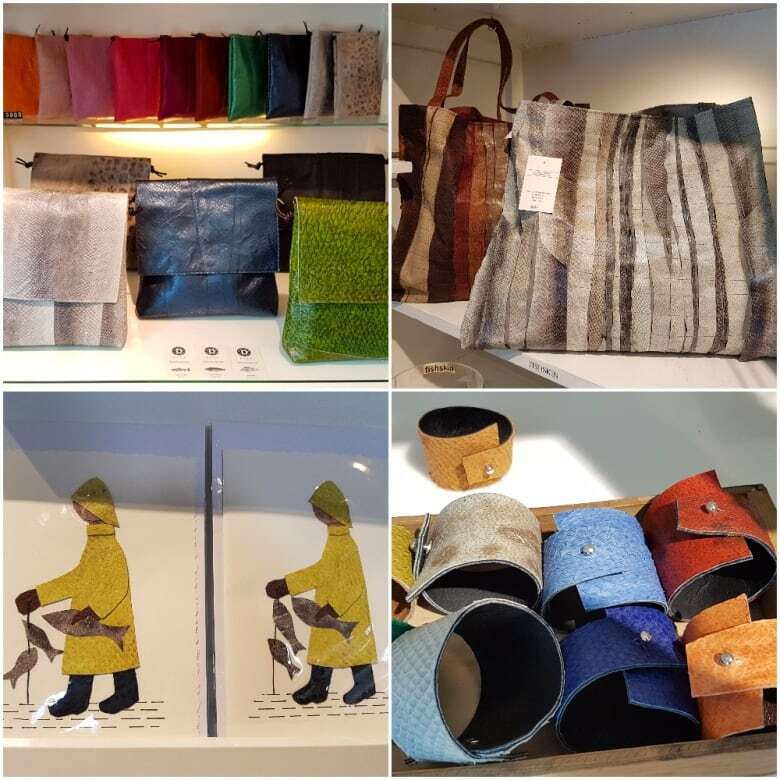 Back in Kirsuberjatred, designer Arndis Johannsdottir's handbag creations costing hundreds, even thousands of dollars are snapped up by Icelandic tourists from all over the world. She shows off a clutch purse in her latest favourite hue. "It's metallic blue, I got the factory to make it for me." 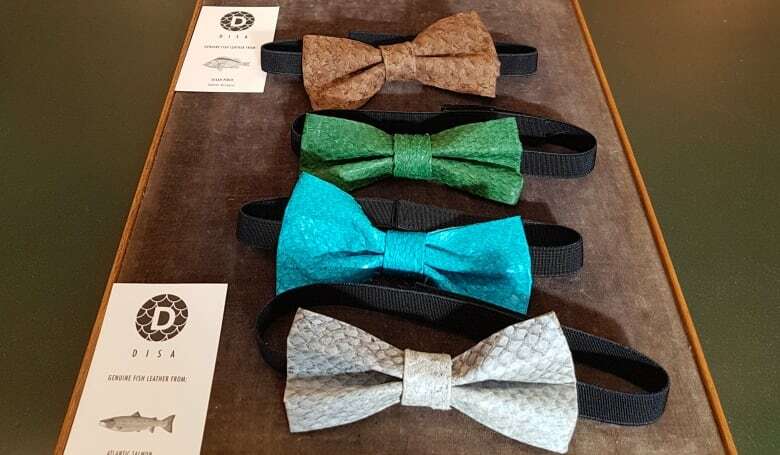 Johannsdottir lifts up a tray of fish leather belts and bow ties and points to a bright blue tie. "This one is called Obama," she says. It was a gift to the former United States President from the Ambassador of Iceland. While she hasn't seen Obama wear his special tie in public yet, she's not worried about the fish skin's attractiveness holding up over time. 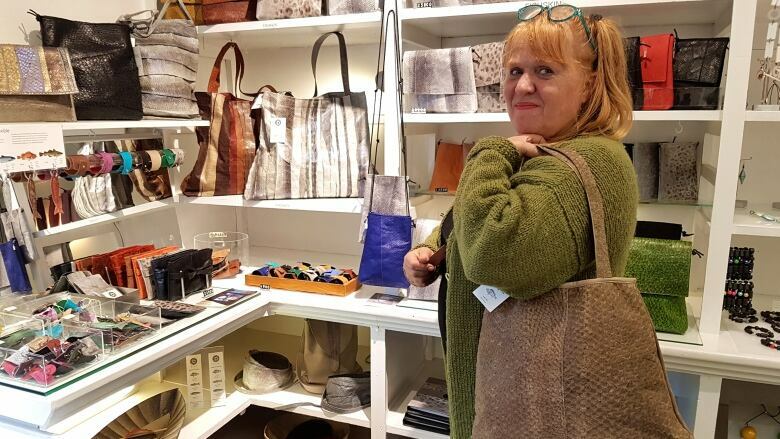 "Some of the bags that I made 35 years ago from material that was 40 years old when I made them they are still going strong so the bags are like 75 years old ... and still beautiful bags." 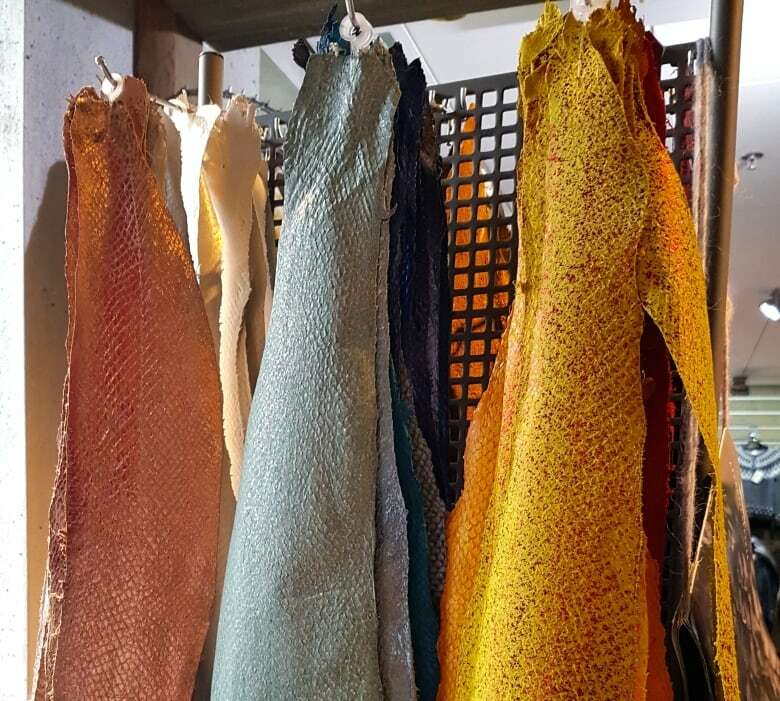 Johannsdottir says she is proud to earn her entire living from fish skin, a product that in many other countries would be considered waste and thrown away. Iceland's fishing and marine innovation industries are thriving. In September, a group of harvesters, processors, researchers and government officials from N.L. travelled there to see what can be learned. Jane Adey, host of The Broadcast, made the trip too and has developed a series called Eye on Iceland.